Both small farms and large companies have shaped the history of tobacco production in Connecticut. Native Americans grew tobacco and passed their knowledge on to colonial settlers. Since then, from the broadleaf variety grown prolifically during the 1800s to the innovative shade-grown tobacco that remains a major Connecticut crop today, tobacco has had a significant economic and cultural impact on Connecticut. L. B. Haas & Company is part of this story. Louis B. Haas was a Dutch immigrant who opened a retail cigar store, Essman & Haas, on Central Row in Hartford in the late 1840s. Haas soon joined the tobacco packing business, forming a partnership with another local tobacco dealer in 1853. 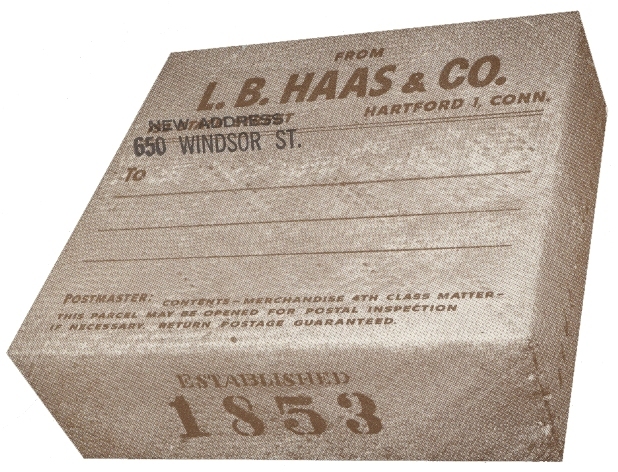 The business eventually became L. B. Haas & Company, with headquarters in Hartford. In 1911, the business expanded to include tobacco production with the purchase of crop land in the Hazardville section of Enfield. 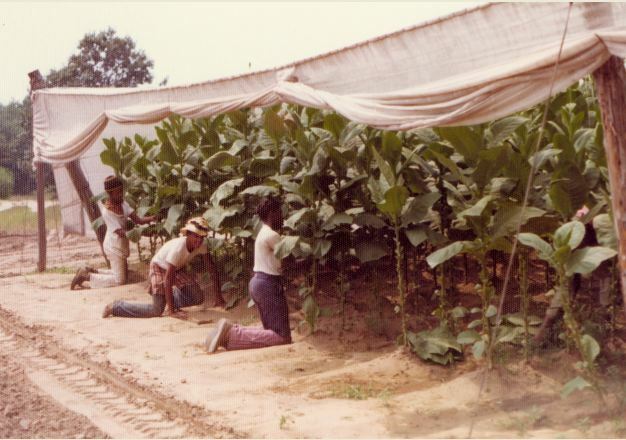 Like most Connecticut growers, Haas specialized in shade tobacco—a superior quality, labor-intensive crop grown under white netting to mimic a tropical environment—which became Connecticut’s most valuable cash crop in the 1920s. Following World War II, tobacco production began a slow decline: Connecticut produced about 23 million pounds of tobacco in 1945, 20 million pounds in 1955, and 13 million pounds in 1960. Nevertheless, tobacco farms and businesses like L. B. Haas & Company continued to draw seasonal laborers to Connecticut, particularly workers from Puerto Rico, Jamaica, and other Caribbean nations, as well as providing jobs for American students in need of summer employment. Many of these seasonal workers made their home in Connecticut, finding factory jobs in Hartford and other towns and establishing the roots of today’s Hispanic and West Indian communities. L. B. Haas and Company grew tobacco until 1979. In 2010 Connecticut produced about 4 million pounds of tobacco, still one of the state’s top agricultural products. Connecticut remains one of the top 10 tobacco-producing states in the country.